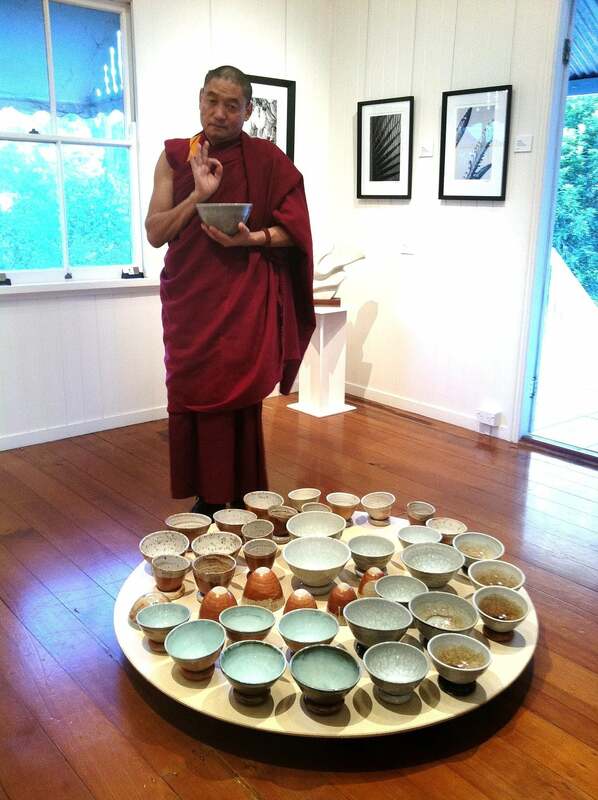 In honour of a visit by His Holiness the Dalai Lama to Chenrezig in Queensland, the local gallery, Rosebed Street Gallery in the small town of Eudlo staged an exhibition called Embrace. A concept from Kari, this artwork became a collaboration with Stephen Roberts. It was a tribute to the humble nature of His Holiness who captures so many hearts in his warm, happy and calm embrace. Two artists were designing their individual entries to the exhibition, when one said to the other with arms outstretched, "May I embrace you and ask that we work together?" 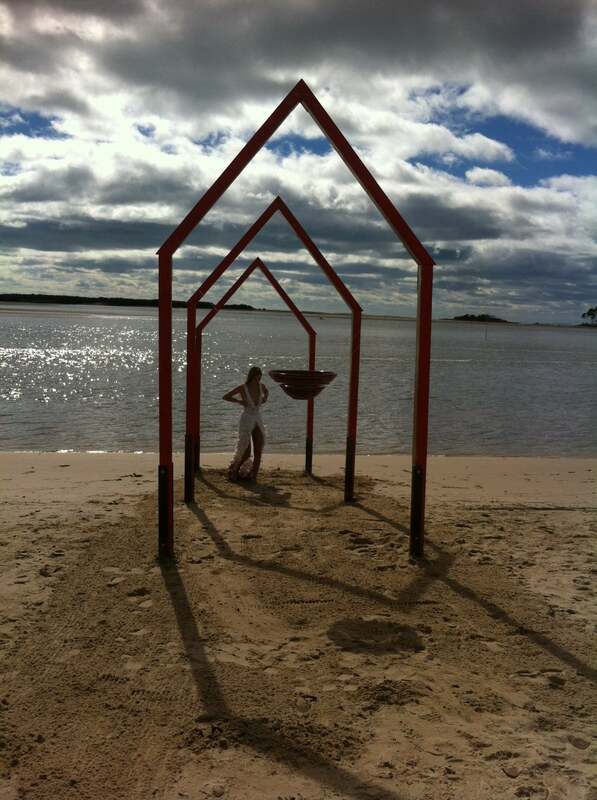 Kari agreed that was the perfect outcome to the exhibition brief. 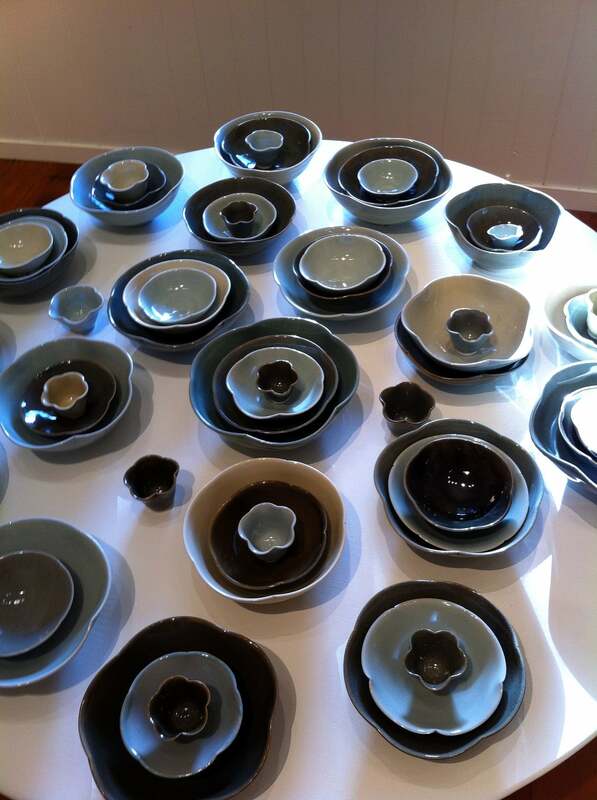 Pairs of round-bottomed bowls; vessels open to the universe, to spirit, sit side by side, talking to each other, touching, connecting, kissing. Yet upside down they reference the forms of the sacred hills of Kata Tjuta in Central Australia, embracing the spirituality of an older faith in land. They can be held in the hands, touched, felt; reminiscent of a prayer bowl, a begging food bowl. Please touch is one message. A larger bowl is part of the set, a place for collecting messages from gallery visitors. 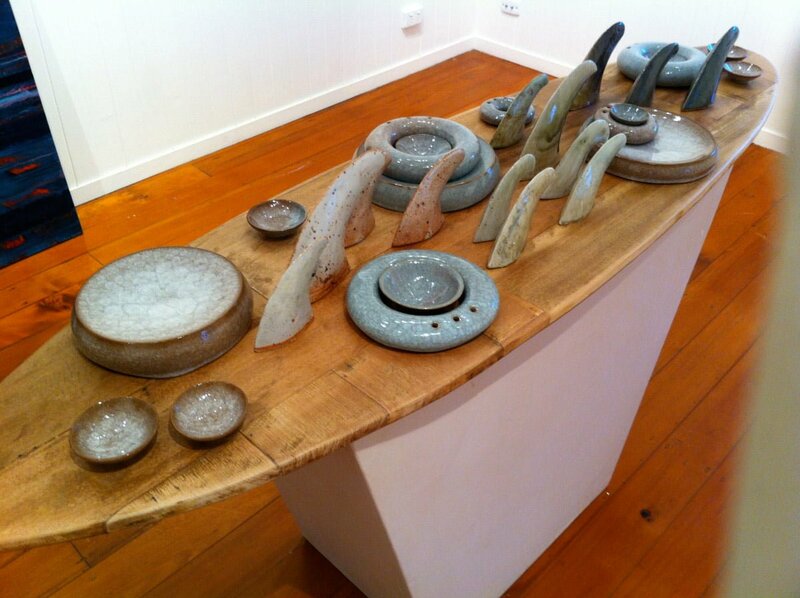 Hand made bowls and vessels have an integrity, a dignity, a simple truth, of home and food and family; simple and honest.